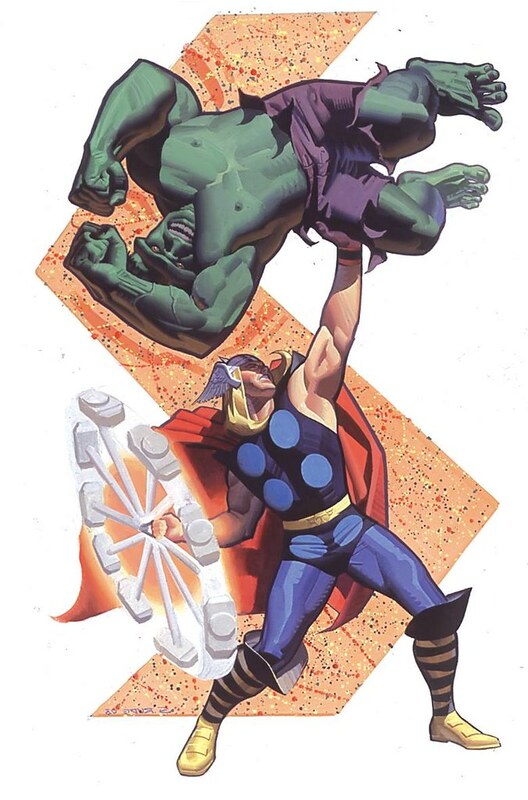 Back when the Hulk wasn't depicted as a gargantuan, it was possible to do what Thor is doing in this pic by Steve Rude. Pick him up and get ready to smash! Check out The Dude's Kickstarter for his 2013 sketchbook. Happy Thorsday! Nuff Said.